Resistance of pathogens to antimicrobial agents is a major problem for all fi elds of anti-infective therapy. 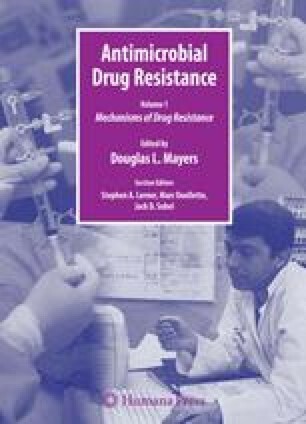 Certainly, we are in a crisis of resistance with respect to antibacterial agents (1). Therapy of human immunodefi ciency virus (HIV) is often restricted by multidrug resistance (2). Multidrugresistant TB is exploding in several areas of the world. Most of the discussion below will focus on bacteria, but the ideas are applicable to any pathogen.